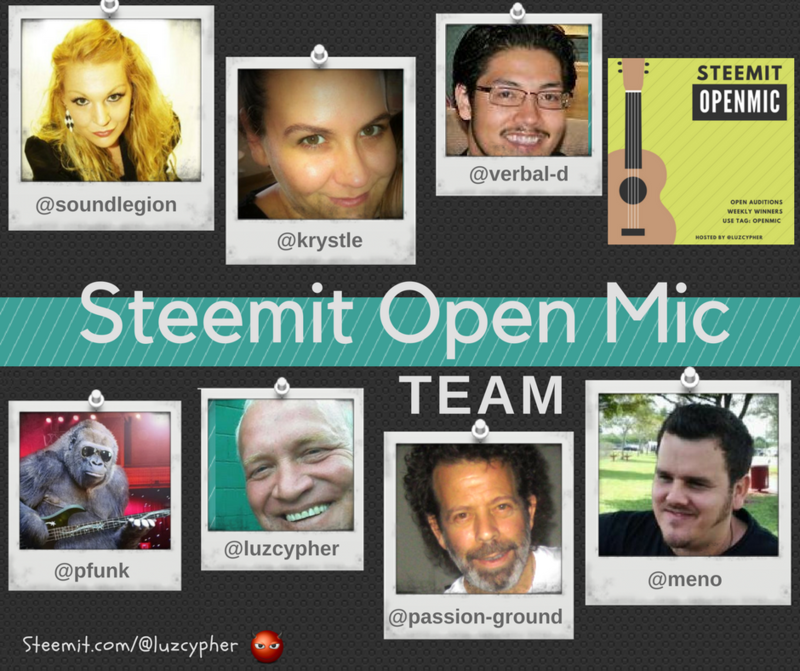 OFFICIAL: Open-Mic | passion-ground's Top-5 Entries for Week 106steemCreated with Sketch. I’ve got some off-platform real-life fun scheduled for the next couple of weeks as such I’ll be absent from judging in weeks 107 and 108. See you again in week #109! Before I begin, please indulge me with a few words about our esteemed Sponsors. IMPORTANT: Before we move on, please don't forget to vote for @Pfunk as witnesses! @pfunk is our biggest supporter, and plays a major role in helping to fund, the Open Mic contest each week. After a temporary dip back down to the 21 level, @pfunk has fought his way back up to #18 on the witness list! Let's keep him there, shall we? Better yet, let's keep him climbing up the ladder toward number 1! In addition to @pfunk, I am also adding @curie, @fulltimegeek, @helpie, @lukestokes, and @aggroed to my short list of “must-vote-for” witnesses who support the platform in general, and Open-Mic venue specifically. With all of that said, following some further insights as to how I judge entries, let’s get on with it, shall we? As one of the esteemed Open Mic judges, it is my job to come up with (or “curate” as it were) a short-list of my top 5 entrants each week. With all of the great talent here, that is by no means an easy task. Sure, tossing in another 5 honorable mentions helps, but not when my weekly list starts out with 100 or more of my favorite entries... You guy's rock - I'm tellin ya! Yes, I am a Libra – so I have an inherent drive deep within me to be fair and balanced – good qualities for a “judge” if you ask me. That being said, I’m still human – filled with emotion and subjective feelings – just like you. So, in order to mitigate my subjective tendencies to the best extent possible, I’ve come up with a method by which to narrow down my selections in a more objective vs. arbitrary manner. Here’s how I go about my personal judging process: I first start out with a list of 100 or more of my most favorite entries for the week, and score them (yes, subjectively) in six distinct categories via a spreadsheet. The categories I’ve selected for scoring are in general harmony with those explained by @luzcypher in his post titled How We Pick The Top 3 Entries, referencing such. To get a more in-depth perspective as to how I personally go about selecting my artists, please refer to What I go through as an Open-Mic Judge. Even though it’s still a “subjective” process – diligently going through each scoring category to come up with a “total” score for each entrant helps to minimize any overzealous subjectivity that I may harbor with respect to any specific entrants. Monica and Abel grab my number two spot for a second week in a row with t his awesome cover! Esther and her partner did an incredible job covering this Roberta Flack Classic! K0W sure hooked us up with a fine cover here… Check him out! Thank you for reviewing my selections for this week’s Open-Mic contest. If you find this content I’ve curated entertaining and of value to you, then please consider up-voting and/or re-steeming it. The following artists who were very much on my radar, each within a splitting hair of making it into my overall top-10, and whose performances I loved, cherish and respect most assuredly. This special list is very much an extension of my most honorable mentions. @ingridkorneelia, @sthela04, @alejandra23, @carlosrada, @yetxuni, @addiesworld, @wilins, @steemmatt, @tfeldman, @lk666, @rodrigo98, @yisusgtr, @enriquesalgadoc, @natvegas, @benjaminmora, @edwardstobia, @leomolina, @mayneth, @miguelblanco, and @elisonr13! Much love and thanks to each and every one of you who have touched a part of my heart and soul - not only this week but forever! Hey, looks like you're taking a break from Steem. Hope you're well! Indeed it can, however, I've never been finer! :-) Thanks! Great to see you back. Hope you had a good time! Saludos amigo, gracias por esa mención honorífica, de mi parte muy contento y una gran felicitación para ti por tan arduo trabajo semana a semana, un abrazo. ¡Ohhhh! 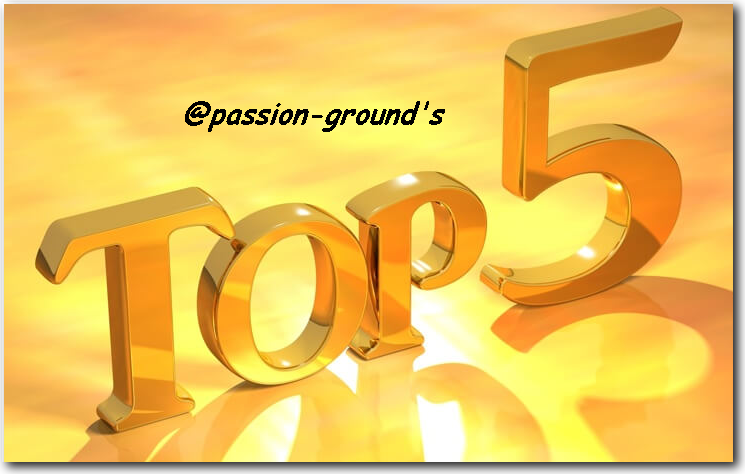 Gracias @passion-ground por darme la oportunidad de estar en tu top 5 de primer lugar. Para mi fue gran honor de verdad. Muchas bendiciones para ti y felicito a todos los compañeros que quedaron clasificados y los que estan en tu mención honorifica. Saludos. So nice to come across this cover after nearly a three-week vacation... Awesome work, Beto... Thank you! Passion... estarás de vacaciones? Espero todo esté bien. Yes, I was! Hope all is well with you too, brother! You got more than 3250 replies. Your next target is to reach 3500 replies.